Q: TW and her 8-year-old daughter, SW, approach the pharmacy, and TW asks to speak to the pharmacist about relieving SW’s cough symptoms. TW remembers reading about and receiving warnings from SW’s pediatrician about the dangers of OTC cough medicines in children when her other children were younger, but SW is suffering from a bothersome, dry cough that has kept her awake the past 2 nights. What treatment approaches can you recommend, and what education can you provide? Q: EA, a 23-year-old woman, would like a recommendation for a nonprescription supplement to help her stay healthy and avoid influenza over the winter. She is a teacher in a local day care center and is looking to use something “natural to prevent the flu” but is confused by all the information she has read online. EA is frequently exposed to sick children at work and got the flu last year. She does not want to repeat the experience and miss work again this year. EA denies any significant medical history and reports only using acetaminophen or ibuprofen occasionally as needed for menstrual cramps. She is allergic to eggs and has not received the flu vaccine since she was a teenager. What education on influenza prevention strategies can you offer? A: Although various natural products, from echinacea and ginseng to vitamin C and zinc, have some plausible efficacy in reducing common cold symptoms, there is no OTC dietary product, medication, or supplement that is likely to prevent inflluenza.4 Influenza, as this patient may recall from her previous experience, is a contagious viral respiratory illness, with symptoms including fatigue, high fever, myalgias, and possible dehydration. A 3-fold approach to influenza prevention should be implemented, according to the CDC. This includes getting a flu vaccine; taking everyday preventive actions to stop the spread of germs such as avoiding contact with sick people and avoiding others when sick, staying home for at least 24 hours after a fever is gone, covering the nose and mouth with a tissue when coughing or sneezing and then throwing the tissue away, washing hands, and disinfecting surfaces; and taking flu antiviral drugs if they are prescribed.5 EA’s egg allergy and rationale for not receiving the influenza vaccine should be further explored. Depending on the severity of the allergy (eg, hives only versus angioedema, respiratory distress, or other severe symptoms when exposed to eggs, egg proteins, or a previous dose of the influenza vaccine), the pharmacist can tell her this is likely one of the best interventions for reducing the risk of contracting influenza. The CDC’s recommendations for administering the influenza vaccine in individuals with egg allergies have not changed since 2016-2017; patients with egg allergies no longer need to be observed for 30 minutes post vaccination and, regardless of reaction severity, can receive any licensed, age-appropriate vaccine.6,7 Importantly, this case serves as an important reminder for pharmacy immunizers to familiarize themselves with their local protocol and screening tool, along with current vaccination guidelines and recommendations, in preparation for the upcoming influenza season. Q: TZ, a 37-year-old man is looking for a recommendation for treating his runny nose and clear nasal discharge. He says he experiences these symptoms annually around this same time of year, adding that he is also suffering from irritated, itchy eyes and a sore throat. TZ says the symptoms are so bothersome that they are interrupting his sleep at night and causing daytime drowsiness. He wants something over the counter that will alleviate his congestion and allow him to sleep normally and does not want to see his physician, if possible. TZ reports no significant medical history and says he does not use other nonprescription or prescription medications. What self-care recommendations can you provide? A: TZ’s clear nasal discharge and cyclic, seasonal symptom occurrence are characteristic symptoms consistent with allergic rhinitis (AR). Although not life-threatening, the symptoms of AR, including watery rhinorrhea, sneezing, nasal obstruction, and nasal pruritus with or without irritation and watering of the eyes, can be particularly bothersome and disruptive to a patient’s sleep and overall quality of life.8 In addition to counseling on allergen avoidance and other nonpharmacologic approaches to minimizing allergen exposure, consideration for nonprescriptive pharmacologic interventions to reduce symptoms and restore TZ’s ability to function is warranted.8,9 Based on his symptoms and disrupted sleep, recommend that he consider either monotherapy with use of an intranasal corticosteroid or an oral antihistamine, based on his preference, in accordance with recent guideline updates.9 Recent evidence suggests that to manage seasonal AR symptoms, monotherapy rather than a combination of medications from these classes should be used, based on a lack of superiority of the combination in reducing symptoms. Ocular symptoms can be particularly troubling as well. For persistent eye symptoms, an artificial tears solution or topical ketotifen could be used. Q: OE, a 69-year-old woman, is looking for something to relieve her stuffy nose. She says she has been suffering from a head cold for the past few days and that the congestion has been so unbearable when lying down that she has been unable to sleep comfortably. OE has a medical history that includes anxiety, fibromyalgia, dyslipidemia, and hypertension, for which she is taking an antidepressant, a beta-blocker, a pain reliever (gabapentin), and a statin. She does not recall the specific names or dosages of any of her other medications. For treating her nasal symptoms, OE would prefer to avoid all medications, if possible, but is unsure of what natural products would provide relief. What advice do you have? Rupal Patel Mansukhani, PharmD, is a clinical associate professor at the Ernest Mario School of Pharmacy at Rutgers University and a transitions-of-care clinical pharmacist at Morristown Medical Center in New Jersey. Use caution when giving cough and cold products to kids. FDA website. www.fda.gov/drugs/resourcesforyou/specialfeatures/ucm263948.htm. Updated February 8, 2018. Accessed August 29, 2018. 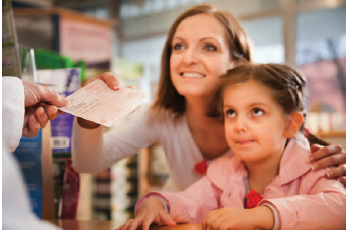 FDA acts to protect kids from serious risks of opioid ingredients contained in some prescription cough and cold products by revising labeling to limit pediatric use [news release]. Silver Spring, MD: FDA. January 11, 2018. www.fda.gov/newsevents/newsroom/pressannouncements/ucm592109.htm. Accessed August 29, 2018. Tietze KJ. Cough. In: Krinsky DL, Ferreri SP, Hemstreet B, eds. Handbook of Nonprescription Drugs: An Interactive Approach to Self-Care. 19th ed. Washington, DC: American Pharmacists Association; 2017. Effectiveness checker results: cold. Natural Medicines website. naturalmedicines.therapeuticresearch.com/tools/effectiveness-checker.aspx?q=cold. Accessed September 12, 2018. Take three actions to fight the flu infographic. CDC website. cdc.gov/flu/resource-center/freeresources/graphics/infographic-fight-flu.htm. Updated August 9, 2017. Accessed August 29, 2018. Flu vaccine and people with egg allergies. CDC website. cdc.gov/flu/protect/vaccine/egg-allergies.htm. Updated December 28, 2017. Accessed August 29, 2018. Grohskopf LA, Sokolow LZ, Broder KR, Walter EB, Fry AM, Jernigan DB. Prevention and control of seasonal influenza with vaccines: recommendations of the Advisory Committee on Immunization Practices-United States, 2018-19 influenza season. MMWR Recomm Rep. 2018;67(3):1-20. doi: 10.15585/mmwr.rr6703a1. Scolaro KL. Colds and allergy. In: Krinsky DL, Ferreri SP, Hemstreet B, eds. Handbook of Nonprescription Drugs: An Interactive Approach to Self-Care. 19th ed. Washington, DC: American Pharmacists Association; 2017. Dykewicz MS, Wallace DV, Baroody F, et al. Treatment of seasonal allergic rhinitis: an evidence-based focus 2017 guideline update. Ann Allergy Asthma Immunol. 2017;119(6):489-511.e41. doi: 10.1016/j.anai.2017.08.012.